11 Ways Hard Money Loans Allow for More Deals and Higher Profits - North Coast Financial, Inc. Experienced real estate investors have been using hard money to fund real estate investments for decades. Real estate investors depend on hard money loans as a source of quick and reliable capital and appreciate the straightforward nature of the hard money lending process. While speed and ease of funding remain the primary benefits of hard money loans, there are various other benefits for real estate investors using hard money. 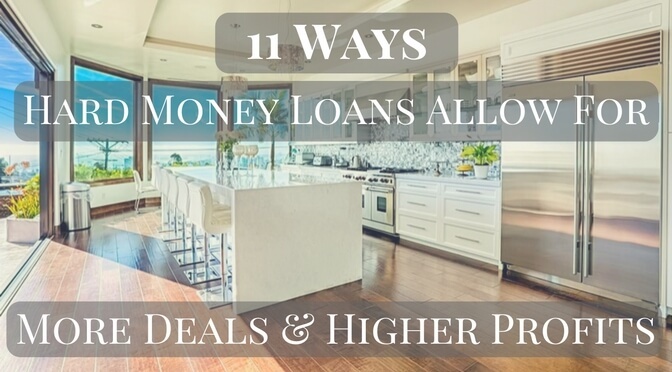 The following are 11 ways hard money loans allow for more deals and higher profits for real estate investors. An application for a hard money loan is much less paperwork than a conventional bank loan. First-time hard money loan applicants are often refreshed by the streamlined application process. Hard money loan applications can be approved within one day once the application is completed and returned to the hard money lender. This allows the real estate investor to spend more timing looking for opportunities, and less time filling out paperwork. Once approved, funding for investment property loans generally takes 5 to 10 days. If needed, funding can take place even faster. Compare this to 30-45+ days for a bank loan. Real estate investors using hard money loans don’t miss out on deals due to not having financing lined up soon enough. An offer with hard money financing is much stronger and has a better chance of being accepted than an offer with a 10% or 20% down payment with conventional financing. Experienced real estate professionals understand that hard money loans don’t encounter the same types of hiccups and problems that can occur with bank loans that end up killing deals and canceling escrows. Even if there aren’t multiple bids on a property, offering a quick close through the use of a hard money loan puts the investor in a position of power and can help with negotiating a lower purchase price. A seller who needs to have their property sold quickly will be more likely to negotiate and give the hard money loan buyer a better deal. When applying for a bank loan, the borrower’s credit and income are two of the most important criteria. A poor credit score or lack of consistent income such as a W2 could prevent the bank from even considering the loan to begin with. Hard money lenders are equity based lenders which means they are primarily concerned with the value of the real estate that will secure the loan and less concerned with the credit and income of the borrower. This means that an investor with subprime credit scores or less than two years of income history with an employer can still qualify for a hard money loan. The requirements for hard money loans are far fewer than for conventional loans. Being able to pay for a property with cash has its benefits. A seller is more likely to accept a cash offer rather than an offer that is contingent on receiving financing from a bank. However, using leverage allows the real estate investor more flexibility to purchase more properties and complete more projects. This can be especially helpful when a real estate investor is fix and flipping multiple properties. Using leverage with hard money will allow the investor to still present a better offer than conventional financing and also get into more deals. More deals results in more profits. Whether cash is currently tight or an investor simply wishes to put some of their equity to work, tapping equity in existing properties can be a good option. With a hard money lender, pulling out equity from an existing property is a straightforward and quick process. The capital can be used as a down payment on a new deal or pay for the rehab costs on an existing property. Short sales and foreclosures on a borrower’s record can be red flags for conventional lenders. A hard money lender can look past these blemishes and still fund the hard money loan if there is adequate equity in the property that is being borrowed against and the borrower is able to pay back the loan. Unfortunate circumstances don’t have to put your real estate investing on hold. Every investor and loan is unique with different needs and criteria. Banks often have rigid loan requirements and if the investor’s needs are outside of those requirements the real estate investor is out of luck. Hard money lenders are willing and able to work with the investor to make sure the loan is beneficial for all parties. A hard money lender has more ability to offer creative terms in order to get the loan funded, while the bank would simply deny the borrower’s request. Hard money lenders have a wealth of knowledge about their local market and real estate in general. When a hard money lender analyzes a property for a real estate investor they may discover something the investor has overlooked that may be a deal-killer. 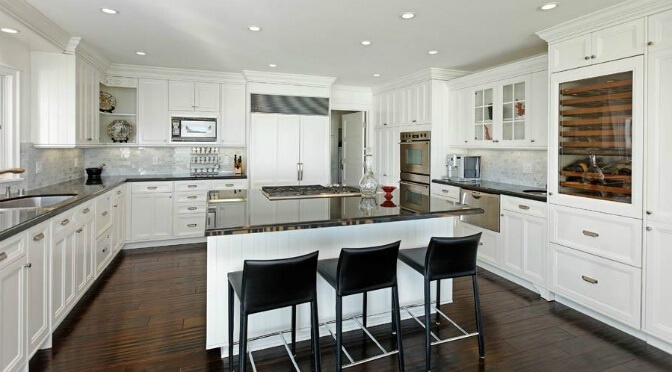 It’s always beneficial to have an extra set of experienced eyes looking over a property/project. Don’t let a bad deal wipe out the successes of previous deals. Many banks only allow an investor to have four financed properties. This is another example of banks having arbitrary requirements. With a hard money lender there are no such requirements. Having multiple properties may actually be a benefit when working with a hard money lender if the real estate investor wishes to cross-collateralize their properties and pull equity from one property to finance a new one.